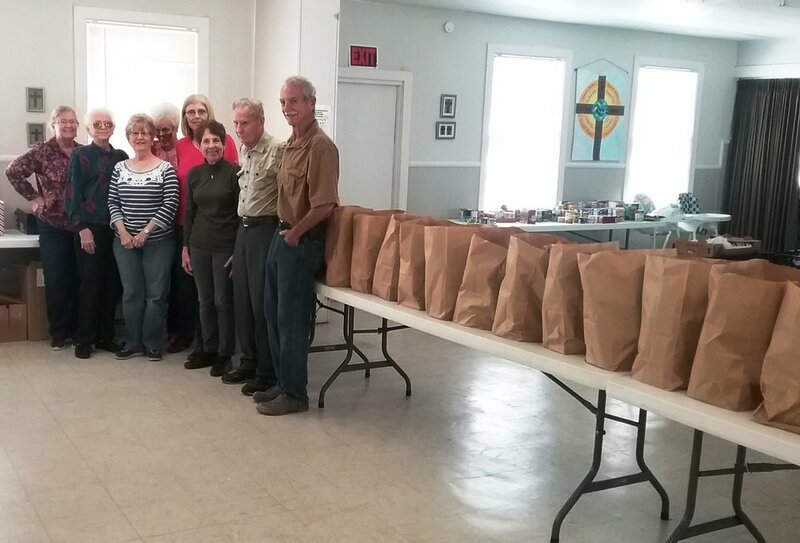 One of the biggest missions of our church is our Food Pantry. Twice a month we receive food from the Coastal Bend Food Bank and distribute to the those in food crises. We operate under the direction of “The Emergency Food Assistance Program” of the USDA. Our normal distribution days are on the second and fourth Thursdays of the month. We have a large number of volunteers that help set up the Fellowship hall, for distribution, on the Wednesday before, and large number of volunteers to manage the food distribution on Thursdays. You are welcome to join us if you want to get involved with a truly worthwhile mission to our local community. Every Thanksgiving Day from 11 a.m. to 1 p.m. we offer a free and complete Thanksgiving Day Meal to all members of the community regardless of religious affiliation; and we take Thanksgiving Day Meals to many of those who are required by their job to be working on Thanksgiving Day. This in a major undertaking and obviously requires a great many volunteers. If you want to work in a rewarding mission, your help would be greatly appreciated. On the last Saturday of each month, from 4 p.m. to 6 p.m. we offer a free meal to all members of the community regardless of religious affiliation. We do this every month in the year except November, in which we have our annual Thanksgiving Day Meal, and December. For all members of our community struggling to learn English, we offer a free class in conversational English four times a week, Tuesday and Thursday afternoon at 1 p.m. and 7 p.m. If you have an education background, or even if you don’t, we can always use help in teaching these classes.